When you shop at maltasupermarket.com and any of the GS franchised supermarkets, you will earn points that can be redeemed for various gifts. The point scheme is as shown on our latest gifts catalogue. Points can be accumulated from one or ANY combination of the eight franchised supermarkets. That is, points accumulated from each different supermarket will still be added to your loyalty card account and the total sum can be exchanged from any outlet of preference. Should the requested gift be out of stock, a signed booking order will be handed to our customer that allows him/her to collect the gift once availability is restored from the particular outlet only. Should the requested gift be discontinued, we will substitute it with a similar item. 1. 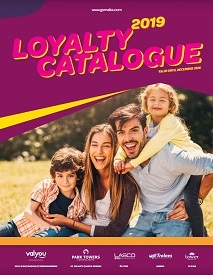 The Loyalty Scheme is applicable on purchases of €50 and over. 2. The Scheme begins on the 24th October 2016. 3. The Scheme is only available at the 8 GS franchised supermarkets in Malta. 5. Balances in card are not redeemable for cash. 6. Balances cannot be transferred to any other GS cardholder/s. 8. Retail Marketing Ltd reserves the right to discontinue this or any other Loyalty Scheme at any time, without the need to give any prior notice. 9. 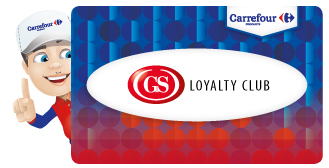 The points accumulated on the GS Malta / Carrefour Malta Loyalty Card are the property of Retail Marketing Ltd, and the company reserves the right to withdraw such points or any other scheme at any point in time, without the need to give any prior notice. 10. The customers cannot split the bill/s in order to avail themselves of different offers originating from different shopping denominations, if such shopping takes place in one shopping visit. 11. Any GS Malta / Carrefour Loyalty Cards not used at any of the Malta stores for more than 120 days are considered to be inactive and will be zeroed accordingly. Thus customers who have not accumulated any points in the said 120 days, will lose all points previously gained.